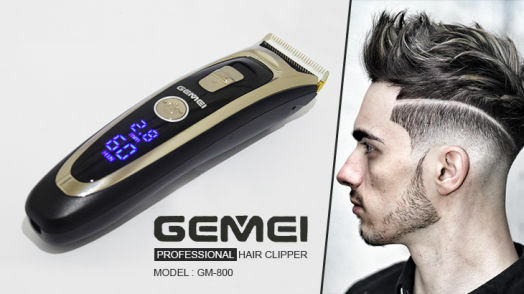 Experience fast and easy grooming with the â€˜Professionalâ€™ Hair Clipper GM-800 from Gemei. It features detachable blades made from ceramic and titanium material, and allows users to pick from 5 cutting length settings according to their preferences. 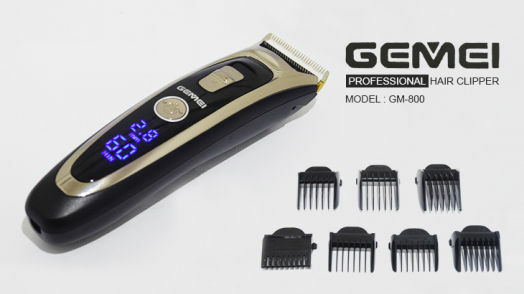 The GM-800 works up to 60 minutes on full charge, and can be used as a cordless hair clipper or on plug-and-play operation. Comes with cleaning brush, comb, blade oil and 7 guiding combs.